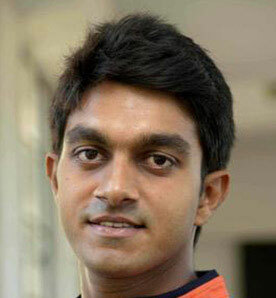 Vijay Shankar (born 26-Jan-1991; Tirunelveli) is a middle-order batsman who can grind attacks and bowl medium-pace, Vijay Shankar established himself as one of the key members of a Tamil Nadu, he won two man of the match awards in the knockout stage of 2014-15 Ranji Trophy. On 20 November 2017, he was named as Bhuvneshwar Kumar's replacement in India's Test squad for their series against Sri Lanka. He made his international debut in T20I against Sri Lanka at R.Premadasa Stadium, Colombo on March 6, 2018.